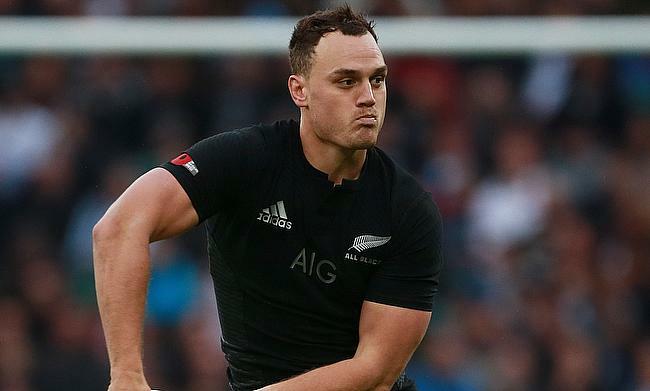 New Zealand winger Israel Dagg has announced retirement from professional rugby with immediate effect on medical grounds. The 30-year-old has been out of action for a considerable amount of time with a long-term knee injury and has taken advice from specialists before bringing an end to his career. Dagg, who also specialises in playing at fullback made his professional rugby debut with Hawke's Bay in 2006 and went on to make his Super Rugby debut with Highlanders in 2009. His move to Crusaders came in 2011 and went on to win back to back Super Rugby titles in 2017 and 2018 editions. Overall, he has made 114 Super Rugby appearances combined for both Highlanders and Crusaders. “It’s been an honour to represent the All Blacks, Crusaders and Hawke’s Bay over the years and I’m incredibly proud to have worn each of those jerseys throughout my career,” Dagg told the All Blacks’ website. Dagg's debut for All Blacks came in 2010 and a year later he enjoyed World Cup triumph with New Zealand. He has gone on to play 66 Tests scoring 26 tries with his last appearance for the national side coming during September 2017. New Zealand head coach Steve Hansen paid tributes to Dagg and wished him a successful future. “It’s always a shame when injury forces a player to retire, but ‘Izzy’ will leave our game knowing that he’ll forever be remembered as an outstanding player who definitely enhanced the All Blacks jersey and contributed to the legacy of the team," said Hansen. “He had an outstanding debut season for us in 2010, scoring that final try in the Test against the Springboks in Johannesburg, and then took that form into the Rugby World Cup in 2011 where he was one of the stars of the tournament, and he played a major part in the All Blacks being successful at that tournament. “We’ll all miss his outstanding rugby skills on the field, but he was a real character off the field as well. We’ll look back fondly at his time in the black jersey – he’s a very special man and a very special player.